Cordillera - Ed Sheeran's Perfect - the number one song of all time that every music lovers loves to sing. The song is so popular all over the world that it reaches even the mountains of Cordillera. Cordillerans do love the song to the point that they want it blend with the country tune. There is no problem singing the song with a country style however, would it be better if the lyrics are in local dialect which can be understood by all. In fact, listening to a song that you understand will help you you grasp the meaning of the song. 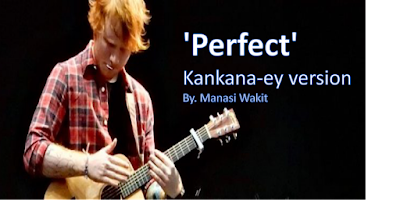 A local singer who is a fan of country music had composed a kankana-ey version of Perfect. 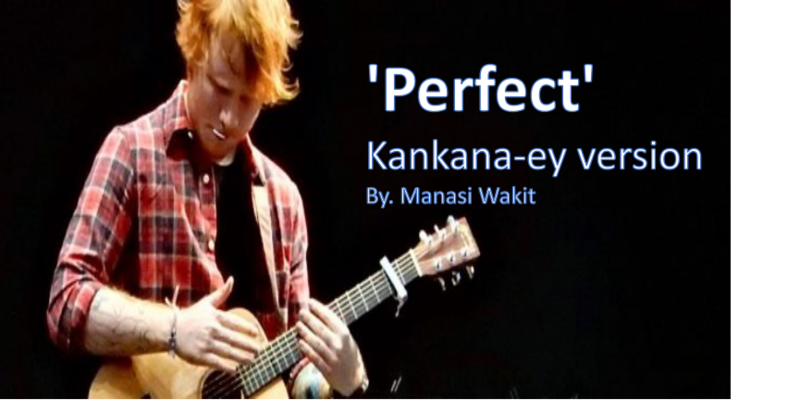 With his acoustic guitar and his Alan Jackson-sound-like voice, he recorded his own version of Perfect and uploaded it on Facebook. You can sing along with Manasi in his recorded song here. ONE Championship crowned featherweight champion Martin "The Situ-Asian" Nguyen revealed that he would love to share a ring with Kevin "The Silencer" Belingon of Team Lakay. 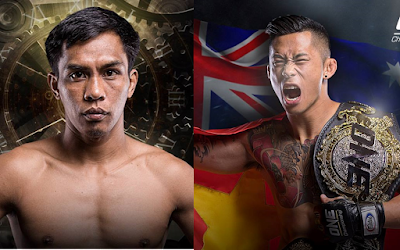 In an interview by ONE championship, the 29-year-old Nguyen would want to return again in the ring this coming ONE:REIGN OF KINGS scheduled on 27 July in Manila. Nguyen said he would like to fight the Igorot warrior for the interim title or number one contender spot. He believed that a match with Belingon would make an exciting main event considering that both of their styles are similar and MMA fans would love to watch them. "Honestly, he deserves nothing but the best. He has taken out top contenders in devastating fashion. He is the one who deserves the title shot next. Belingon has to stay active, because he has to put food on the table for his family, and he needs to fight. If there is anyone to step up againts Belingon, other than myself, I cannot really say who," said Nguyen. Nguyen is one of ONE Championship's biggest stars. He had defeated two of the best fighters Marat Gafurov and Eduard Folayang and crowned champion in both the featherweight and the lightweight division. He has successfully defended his featherweight world title on 18 May against Christian "The Warrior "Lee via split division. Belingon has proven he got the power and arsenal to grant the wish of Nguyen. Last April, Belingon demonstrated his skills and power when he obliterated his opponent with relentless loads of ground and pound. Now that a desire for a match up is asked by Nguyen who happened to knocked out cold one of Belingon's Team Lakay mates Eduard Folayan, will he take notice to the call? Cordillera - Eight young Benguet farmers were off to Japan on Wednesday for a three-year intensive on-farm training to learn new farming techniques, modern agricultural management skills and join in farm youth activities at the Farmers Cooperative of Ehime Prefecture and in Kochi Prefecture in Japan. 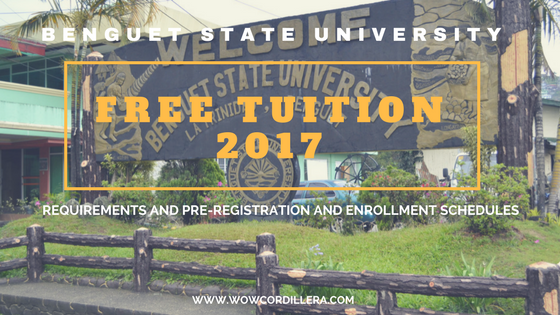 According to Philippine News Agency the participants came from different municipalities of Benguet. 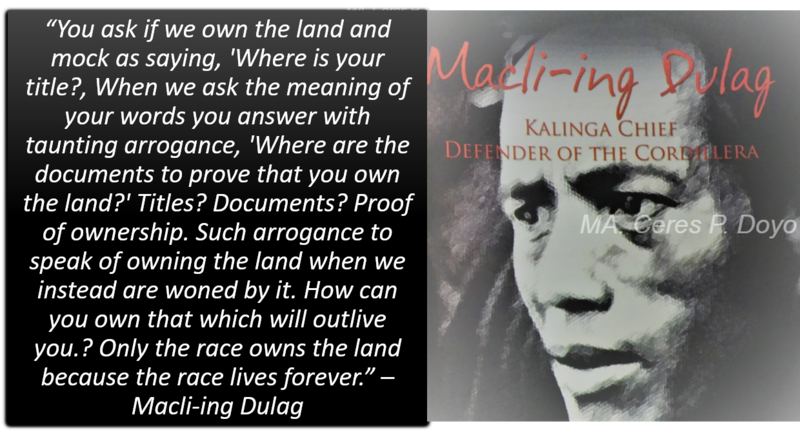 They are Rufino Budoyan Jr. of Bokod; Francis Galuten and Gentar Manicawa, both of Mankayan; Rico Wakat of Sablan; Hardy Bua-eg of Bugias; Vincent Comila of Bakun; Arman Caris of Kapangan; and Febie Ann Mayames of Kibungan. The trainees will take the course that is part of the Young Filipino Farmers Training in Japan (YFFTPJ) Program which is conceived to provide training opportunities for young men and women engaged in agriculture to help improve Benguet's agriculture through exchanges in technology and farming methods. Office of the Provincial Agriculture (OPAG) supervising agriculturist Delinia Juan said the program will encourage young farmers into agriculture by helping them acquire new agricultural techniques, experience life in a foreign country, and strengthen their foreign language skills. When they return home, the trainees are expected to bring a new level of expertise that will assist them in their work and share with their fellow farmers in the provinces. Cordillera - They may be only elementary pupils, but these two kids have a brilliant mind of an inventor. Nixon L. Labian and Jimber Lee A. Camared of Sagada, Mt. Province just invented a treadle glass and bottle crusher that is capable of crushing bottles and broken glasses which are not usually accepted in most junk shop. The machine can be used to crushed bottle that can be mixed with cement according to Mt. Province PIO. The crusher that was invented by Labian and Camared even got a nod from the Provincial Environment and Natural Resources Office. The office found that the crusher is a functional hand operated manual treadle glass and bottle crusher with pedal. The crusher is operated using a discarded bicycle attached to it with brace to make it steady and more durable. The machine is capable of crushing medicine bottles, broken glasses and other types of bottles. It can grind bottles that weigh about 2575 grams. Using a recycled ball mill, Labiang who was then in grade VI in school year 2016-2017 invented an improvised glass and bottle crusher. Last year, Camared introduced innovations to the prototype glass crusher by attaching a bicycle to function as a treadle. 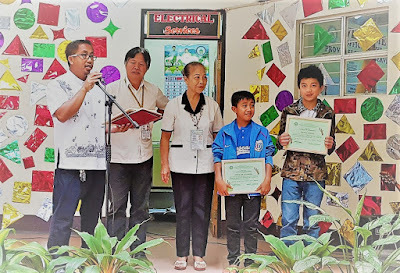 The treadle glass and bottle crusher entry of Banga-an Elementary School was able to garner the first place during last year's Regional Science and Math Festival - Elementary Category of the Department of Education held at La Trinidad, Benguet. 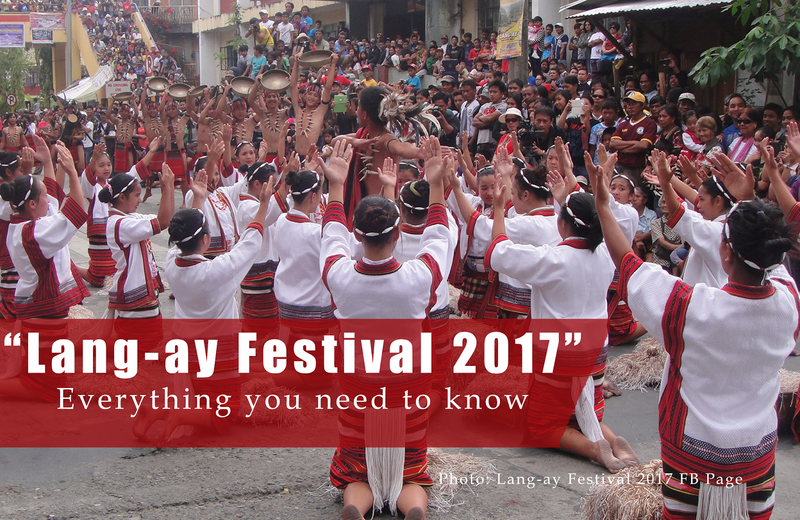 Labian and Camared are students of Banga-an Elementary School in Sagada. 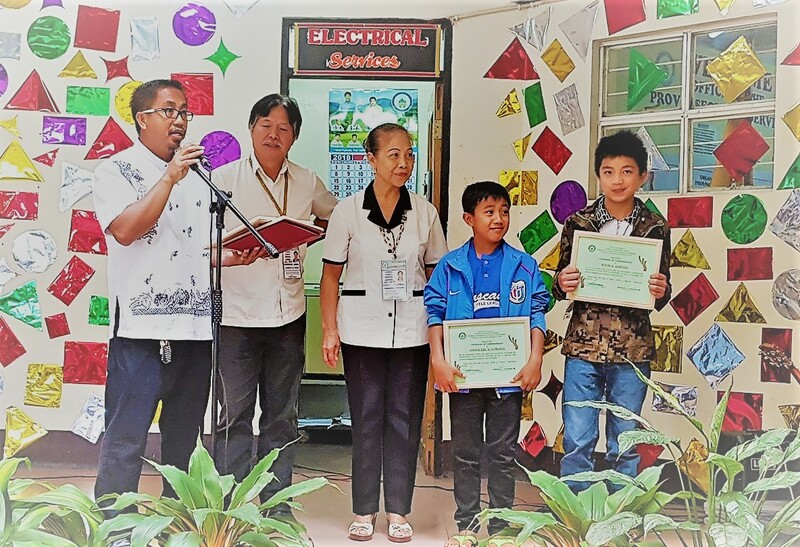 They were recognized by the Provincial Local Government Unit of Mountain Province for their ingenuity and effort in developing an improvised device that can contribute to the reduction of solid waste. The provincial goverment of Mt. 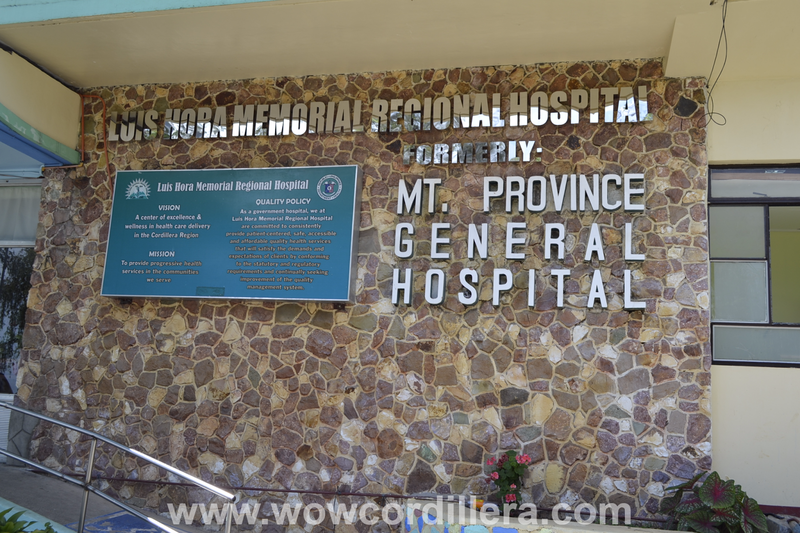 Province awarded them with Certificates of Commendation and cash incentives of Php 2,500 each. 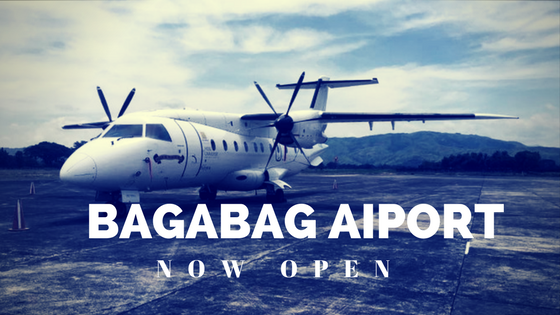 source || Provincial Government of Mountain Province FB page. 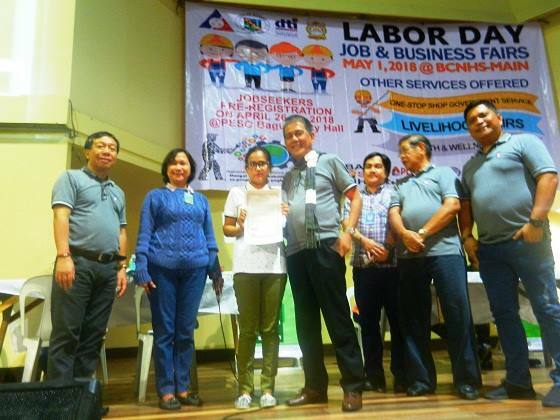 Baguio City - A former OFW was the luckiest job seeker of all time during the 2018 Labor Day Job Fair held at Baguio City High School campus on Tuesday. 25-year-old Joyce Mae Ridual couldn't believe about the blessing she had received during Labor Day, she just won a house and lot package. 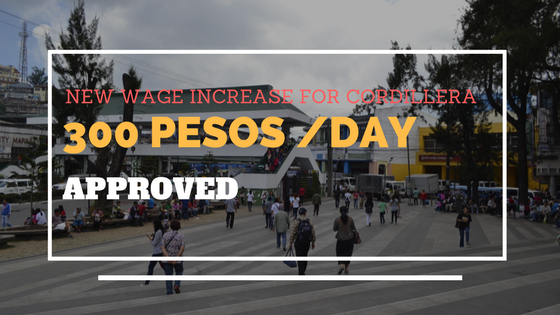 Ridual hit the jackpot of the House and Lot raffle promo sponsored by PAG-IBIG Fund drawn by the Department of Labor and Employment - Cordillera (CAR). 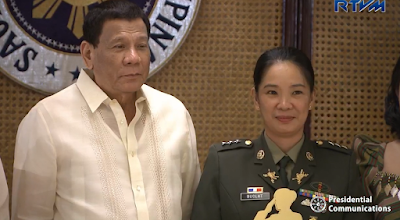 According to Ridual, she wasn't aware of the raffle draw and was surprised when her number was called out and she was announced the winner of a house and lot. "Nung tinawag na iyung number, nagulat na lang po ako at saka iniisip ko po kanina, hindi ko ata nasulatan yung ticket, iyun pala wala palang name, number lang pala. Nung inaanounce na yung number ko, hindi pa rin ako makapaniwal," Ridual said. Ridual credited the Almighty God for winning the jackpot because she believed it's God's will and winning it is not a luck. She said that right before the draw, she walked to the Baguio Cathedral and said a prayer. Not only that, Ridual was also hired on the spot for a nurse position overseas. According to the agency's recruitment officer, her credentials and experience of working in Riyadh for two years are enough to qualify her for the job. Cordillera - A new discovery by a team of Filipino, French and Dutch scientists have shown evidence suggesting the presence of the so-called archaic humans in the island of Southeast Asia 400,000 years ago before our known species Homo Sapiens even existed, according to a new article published in Nature. The new evidence which was excavated in Kalinga of the Cagayan valley of Northern Luzon shows rhino bones and stone tools. Scientists found marks on the bones that indicates sharp-edge tools were used in butchering rhinos and removing flesh and fats from the bones. Mike Morley, an archaeologist from the University of Wollongong in Australia said on Gizmodo that the marks on the bones were signs of butchery by unknown species of hominins. But researchers were not able to determine what species of rhino hunters and tool-makers had inhabited Luzon long time ago due to the lack of hominin fossils in the site. If the age of the fossils which is around 700,000 years ago would be the basis, Thomas Ingicco who lead the Kalinga site discovery said Homo Erectus who seems to have been present on those years may be the tool-makers because these species were present all over those years in Asia. Where did these hominins come from and how did they come to Luzon? The teams conclude that hominins of some kind must have come originally from Borneo to the southwest or from Taiwan to the north and they could have used some sort of watercraft. Scientists led Ingicco also uncovered different bones belonging to a species of brown deer, monitor lizards, freshwater turtles and stegodons - a kind of extinct mammal similar to elephants and mammoths. Using different dating techniques like the electron-spin resonance methods, archaeologists were able to date the bones to be around 777,000 to 631,000 years ago.